I had never read a Maggie King book before, but this one was a fun one. The book had a good story line and the characters were a ton of fun too. 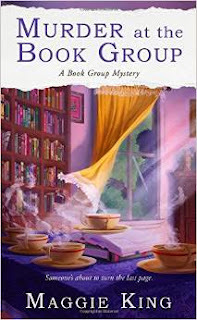 My wife has been a part of book groups in the past and she said that the author did a great job at describing the culture and the traditions of the book club itself. There was some great twists in the book that I liked as well and that made the book even better. All-in-all this was a great book that will keep you guessing and keep the pages turning!